Cables. The single most controversial subject in an already questionable hobby. Reading about the topic might already put on a frown by many readers. And what’s worse, it’s high-end cables. High end, as in, even more expensive than they already are. So what is it about cables that drive enthusiasts to pay such ridiculous amounts for something that appears to be such a trivial element in the chain. The source is evidently doing all the work, transforming a digital signal into an analog wave. And the earphones are producing the actual sound. All the cable has to do is transport the signal fin between the two. The reason is very simple. It’s the same reason as wanting to invest in a $1500 source when a $500 one is already doing an excellent job. It’s about taking a listening experience to a next level: hearing music in a way you’ve never heard it before, improving something that already seems perfect. There are different aspects that can be improved by a cable; high resolution makes you hear that a tone you’ve always been hearing as one actually consists of two, transparency when a chord resonates so clearly you feel you can almost touch it. Or that a tone is produced with such beauty you’re overwhelmed by emotion. Electronic equipment, in general, is priced beyond ridiculous. Once you transcend the $300 price range, significant steps in improvement start to come with an additional price tag of $500; very roughly speaking, you could say there’s a $300, $700, $1000 and $1500 (and higher) range of daps, amps, headphones, and iems – as well as cables. When we take that into perspective, the price of a $500 or $1000 cable is still very hard to justify, but that doesn’t mean it can’t equally do that one thing that drives us in this hobby: reach that next level. A simple analogy for cables is if you put a car on the cheapest tires you can find, it affects its traction. As a consequence, this affects its acceleration and steering. So in this case, you could say the tires are the bottleneck for unlocking its full potential. But the question is, do you really want to invest thirty thousand dollars for the best tires? Probably not to get the most out of your Volkswagen Golf, but maybe more so for if you own a Ferrari. And even in this case, you can argue it would be better to use the 30K to buy a Golf for your wife (or considering the Ferrari, maybe mistress). Ultimately it will depend on how much you want to invest in a perfect driving experience with your Ferrari. And how bad your wife needs that Golf of course. Similarly with cables, the price to performance ratio is a tricky one that is hard to crack, even for people that have the budget. I’m not going to argue that a cable is per definition worth it. When it comes to $700 cables and more, you can always argue you can buy a fantastic-sounding iem for that. There simply is no denying that. On the other hand, if you’ve found the perfect setup, a dap/iem combo that matches your exact preference, you might prefer to push that one beyond its current reach and add that last step on the road to perfection. While a cable won’t always automatically sound better as it depends on the pairing, cables can alter the sound in numerous different ways. For instance, a cable can provide a cleaner and more controlled mid-bass presentation, clearing the air between the instruments aiding in separation; often referred to as ‘a veil being lifted’. In addition, bass texture, quantity, and resolution can be improved. In accordance with the mid-bass presentation, notes can be thinner or thicker, affecting the overall fullness of the sound. Cables can be smooth, or even fast and dynamic. Stereotypically, a silver cable will open up the higher frequencies, improving sparkle and treble extension, resulting in improved resolution and detail retrieval, and even widening the soundstage in some cases; often with a tradeoff for midrange warmth and fullness. Copper cables might have a more natural tone, or more bass quantity resulting in warmer and fuller mids. On average these differences might be generally true, but it is actually the various wire properties (OFC, OCC, Litz construction), the gauge of the wires, and shielding that will have a greater effect. 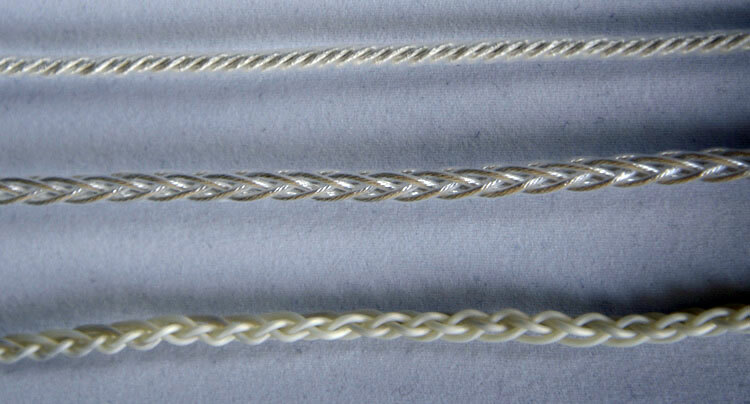 As a result, there are silver cables with a warmer and more natural tone than coppers, and coppers that have clearer treble and better resolution than silvers. But overall, the two most important aspects of a cable are tonality and resolution. Tonality can be viewed as the ambiance in which the musicians play. The lights can be turned up, presenting every detail on the stage; or music can be presented in an enveloping, smooth and warm atmosphere. A sound should have a certain naturalness to feel realistic. A hint of warmth in the midrange can make vocals and chords resonate with more color and feeling, but warm air shouldn’t obscure the instrument separation and overall clarity. A treble lift and extension can reveal slumbering detail, but it shouldn’t be too prominent to reduce the overall smoothness. And of course, instruments should have a natural timbre. Technical performance refers first and foremost to resolution: improving instrument definition, separation, and detail retrieval. There are several ways to improve clarity and separation, such as recessing lower mids, or lifting the treble. This can come at the sacrifice of its tonal accuracy. High resolution will improve overall definition and separation without brightening the presentation. In addition, soundstage dimensions can be attributed to technical performance. A high-end cable attempts to achieve both; improving its resolution, while maintaining a natural tone. Tonality can be seen as the sum of the components of its signature, warmth, and smoothness, while resolution relates to performance. Taken together, these are the two most important aspects for a cable, which will be the center of focus in this series. While a cable can have properties that set it apart from the rest and determine its value, cables, generally speaking, are best viewed in relation to a signature. This is where synergy comes into play. A bright cable can be used to harness an overly warm mid-bass, improving instrument separation in the midrange due to the cleaner background; but in turn, a brighter iem might benefit more from a warmer atmosphere and smoother upper treble. Optimal use of a cable depends on synergy with an iem; generally speaking, even the most expensive cables will excel with a certain type of signature while performing suboptimally with others. For instance, Zeus-XIV is a mid-centric iem with a forward presentation that benefits most from a lift in the lower treble to open up its presentation, add some extra sparkle, and generally make it more all round. While it has an impressive signature and technically proficient sound, a cable can improve its tonality; its overall tone and general timbre of instruments. Zeus’ resolution is impressive, even with its stock cable. This doesn’t mean its resolution can’t be improved even further but is not easily improved with a midrange cable. The Rhapsodio Galaxy, on the other hand, comes with an upgrade cable, the Galaxy’s tuning is extremely flat from the bass throughout the midrange, followed by a treble peak to improve its clarity and resolution. Due to this peak, its tonality is skewed towards the upper end, which affects the naturalness of its tonality, especially since the iem doesn’t have any inherent warmth. 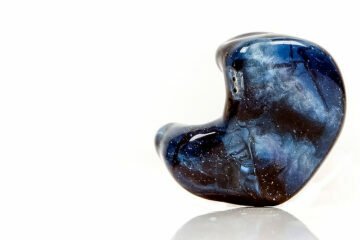 With the wrong pairing, the Galaxy can just sound off; thin, with a metallic tone. If there ever was a cable-sensitive iem, this is it. The Galaxy’s stock cable is Rhapsodio 2.98 4-braid, a $380 cable. It’s a 2% gold and 98% silver alloy cable with a Kevlar core. There’s a reason for the pairing; the Galaxy first and foremost requires warmth and smoothness from a cable, for it to have a natural tonality. It’s also dependent on a cable to get the most out of its resolution. So as you can see, the perfect cable for the Galaxy might be very different than Zeus. Hong-Kong based Rhapsodio is a renowned iem and cable manufacturer, offering high-end cables with a wide variety of signatures. The Golden is a mixed copper and silver alloy 4-braid cable. Representing the United States is Double Helix Cables a worldwide major player in the cable business, with their flagship Symbiote SP 8-braid: an OCC silver Litz cable ($800). The traditional Japanese manufacturer Wagnus of high-performance cables presents their recently released flagship, Frosty Sheep: a 4-braided silver-plated copper cable ($970). And from Turkish manufacturer SilverFi, who builds their own materials and wires from the ground up. SilverFi cables are truly unique in their natural tone. 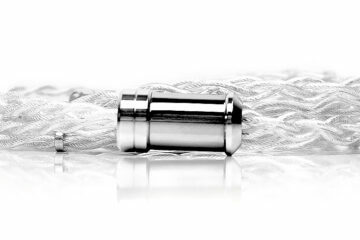 Represented with their IEM-R2 cable: a pure silver 7-braid with cotton sleeving ($1295). Note: in the final scores looks and build & ergonomics are averaged as one, together with resolution and tone as I consider the latter two proportionally more important. I have no clue how to solder a cable, but I’m pretty sure google can help you better than I can. Excellent review on what can be a touchy subject, informative while be a great read. Cables do make a tremendous sonic difference, to my ears even more so with CIEMs. I look forward to reading your upcoming installments. Would love to hear how my favorite in ear cable, Norne’s all silver Therium stacks up against the Rhapsido Gold! But thanks for the kind words Kevin, I appreciate that a great deal. Maybe the opportunity will arise for me to hear the Therium sometime in the future!